Brittany Arentz needed a few minutes to compose herself. 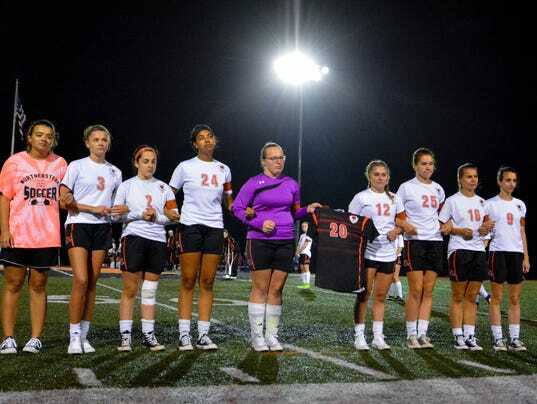 It was Senior Night for the Northeastern girls’ soccer team. For everyone involved with the program, it was an emotional event, but it hit a few of the players harder than others, with Arentz being one of them. The Bobcats were remembering the life of teammate Abby Osborn, who would’ve been a senior on this year’s team had she not been killed in a hit-and-run car accident back in April. That is partly why Arentz was choked up. RED LION — As Northeastern girls’ soccer senior Amanda Bentz stepped up to the ball with time ticking down in extra time, she knew two things. The first was that her free kick was right in her comfort zone, just outside the 18-yard box. The second was that she had to convert it, because she knew that the Bobcats wouldn’t get a much better chance to score against rival Dallastown. MANCHESTER — Senior Night for any athletic program can bring out a wave of emotions. 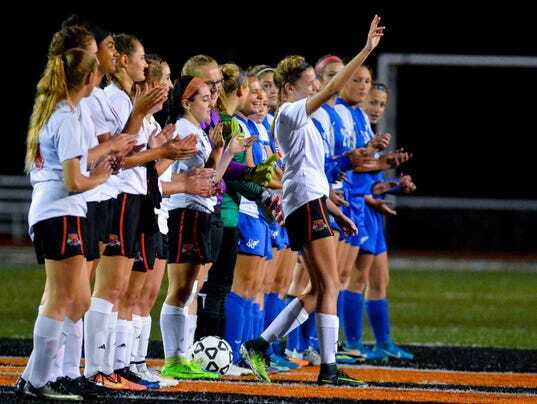 For the Northeastern girls’ soccer team, those emotions reached a whole new level on Thursday, Oct. 12. With eight players taking part in their last guaranteed home game, it was a chance to go out on top. Along with that, the team recognized a senior who wasn’t with the team, Abby Osborn, who was killed in a hit-and-run car accident this past spring. DALLASTOWN — It wasn’t the kind of weather that either team was hoping to see. Especially for a game of such magnitude. While the conditions were certainly ugly, the end result was undeniably beautiful as far as the Central York Panthers were concerned. The West York boys’ soccer team scored a goal in each half en route to a 2-0 triumph over Kennard-Dale on Thursday, Oct. 5. 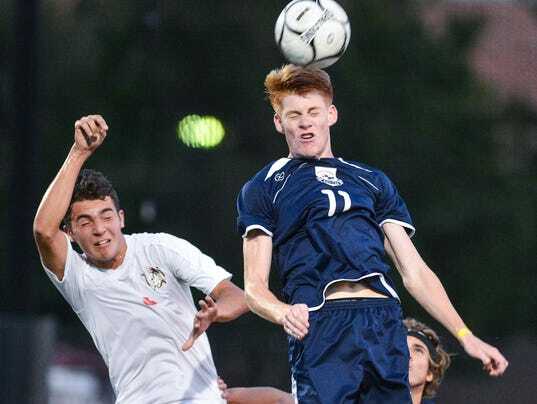 Jason Bruder and Julio Salaveria-Cuellar each scored for West York, while Adam Hersey and Kyle Chambers added assists. The Dover girls’ volleyball team took control over the final two games to earn a 25-17, 20-25, 27-25, 25-19 victory over New Oxford on Tuesday, Oct. 3. Chayce Hoffman led the Eagles individually with 14 kills and 14 digs. Abby Diehl had 29 assists and 12 digs, Emma Davis had 16 kills and five aces and Triana Krider had seven kills.